What’s a grandma to do when charged with the care of 7 and 8 year old grandsons for a month in the summer? This kind of challenge might empty one’s wallet if the plans include visits to theme parks in the area, not to mention the pain of dealing with massive crowds and oppressive heat. 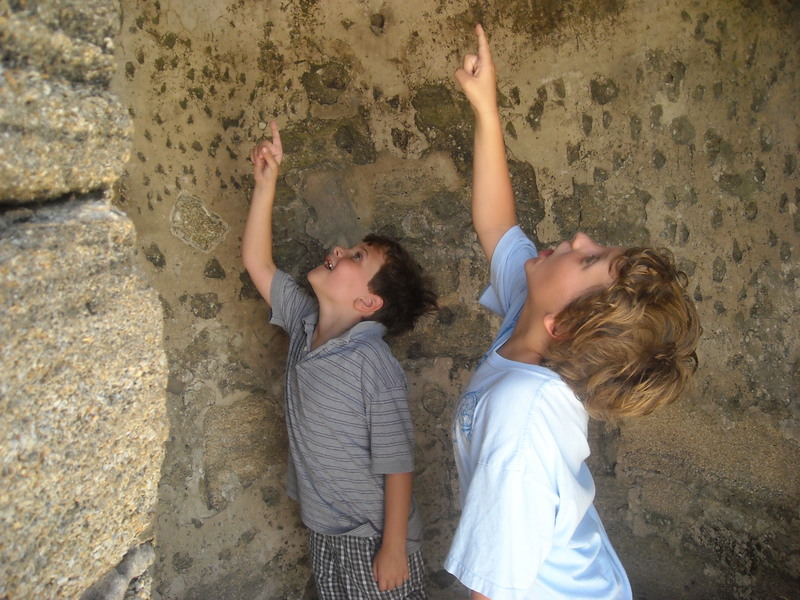 We found an inexpensive solution locally in our nature preserves, environmental centers and National Parks which didn’t break the bank and proved educational for all of us…no, really, the kids did have fun without knowing they were actually learning something useful. A perk of aging (read 62) is the $10 one time price of a lifetime pass to all national parks across the country. We took advantage of this and made numerous trips to the Canaveral National Seashore, saving the entry fee, a mere $5 per auto, but when added up comes to a chunk of change. Just driving into Yellowstone National Park can set a tourist back $25 but with the senior pass one can take as many days as they’d like to explore without a fee. 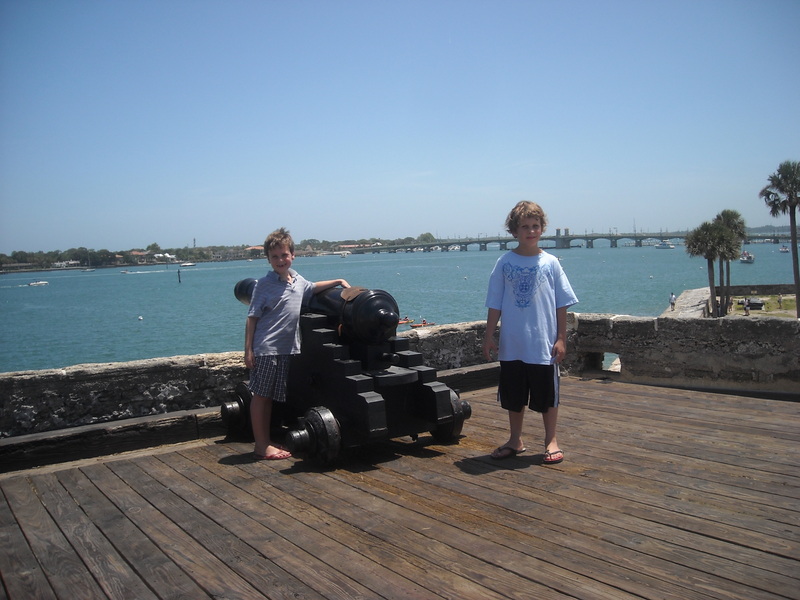 Canaveral National Seashore is a jewel of a park and provided many hours of educational fun for the boys. 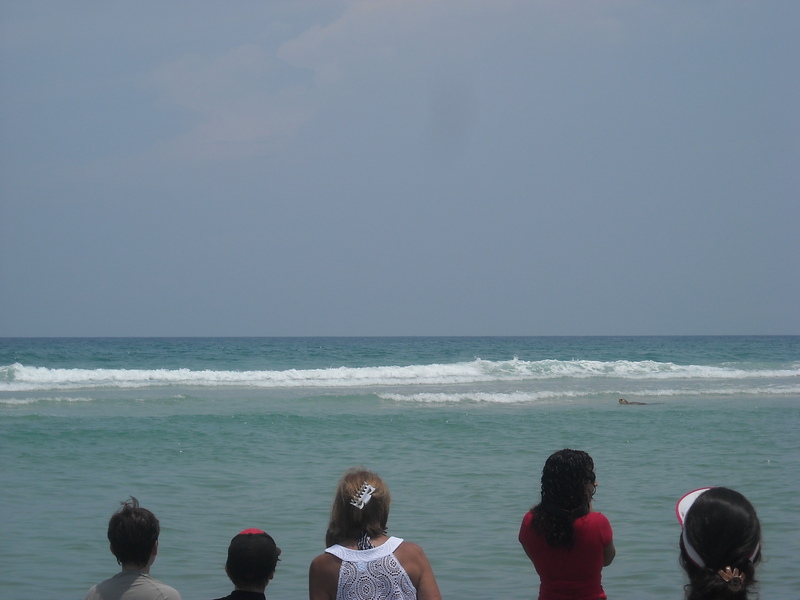 Their Junior Ranger program turns kite flying, boogie boarding and turtle nest watching into fun activities while teaching important lessons about the environment, laws of physics as well as beach safety. It was gratifying to see them put down the video games and find awesome adventures in this natural habitat. 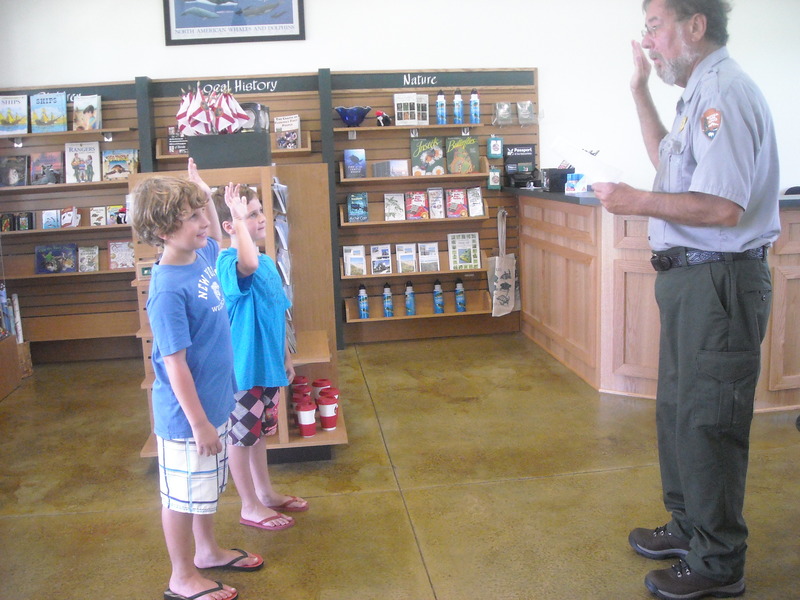 Receiving their official Junior Park Rangers badge. 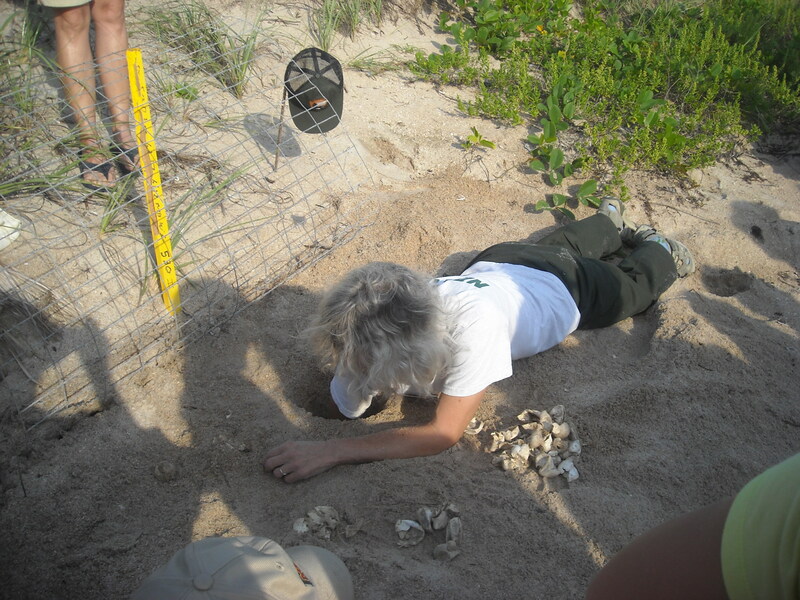 Turtle hatching season is sacred here on the east coast, so we were excited to be able to witness the excavation of a hatched turtle nest. 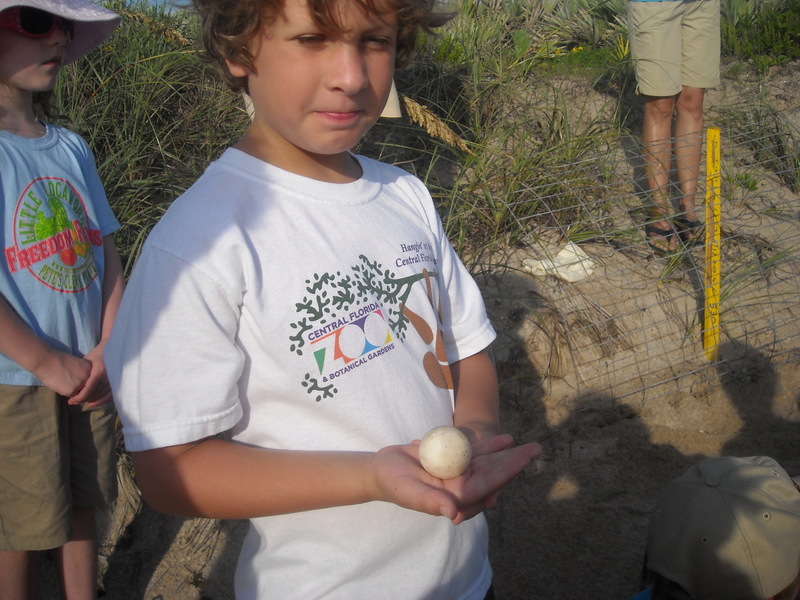 The Park Ranger dug deep to find approximately 80 eggs, most of which had hatched properly while a few had not fertilized and were intact. The little rangers got to hold the un-hatched eggs and feel the soft, leathery shells, unlike the brittle shells of chicken eggs. They learned that the baby turtles who survived and found their way into the ocean will return to this exact spot many times during their lives to lay their own eggs, regardless of how far they venture from this part of the coast. 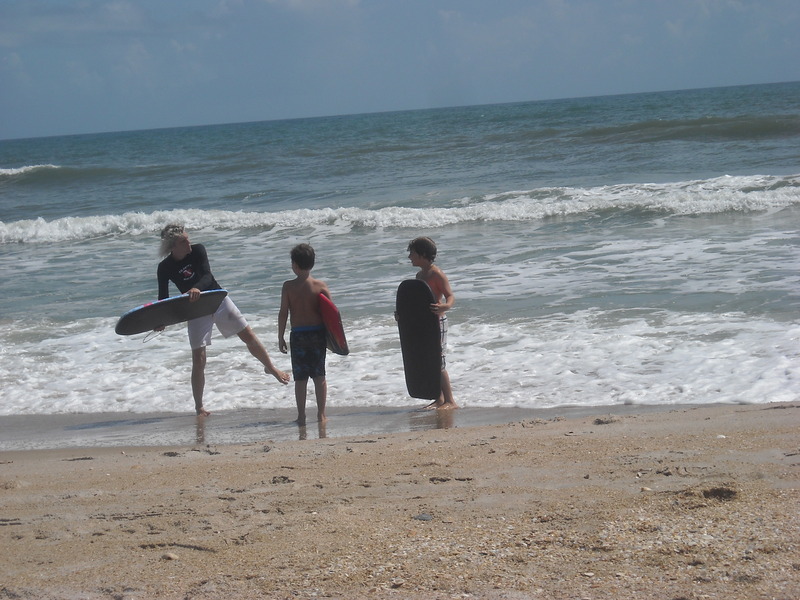 The simple act of boogie boarding brought valuable information about beach safety as a lifeguard sketched a typical rip current diagram in the sand, along with teaching measures to take when caught up in one. A fun hour was spent with a Park Ranger who enjoyed the activity as much as they did, while educating them in the nature of waves. 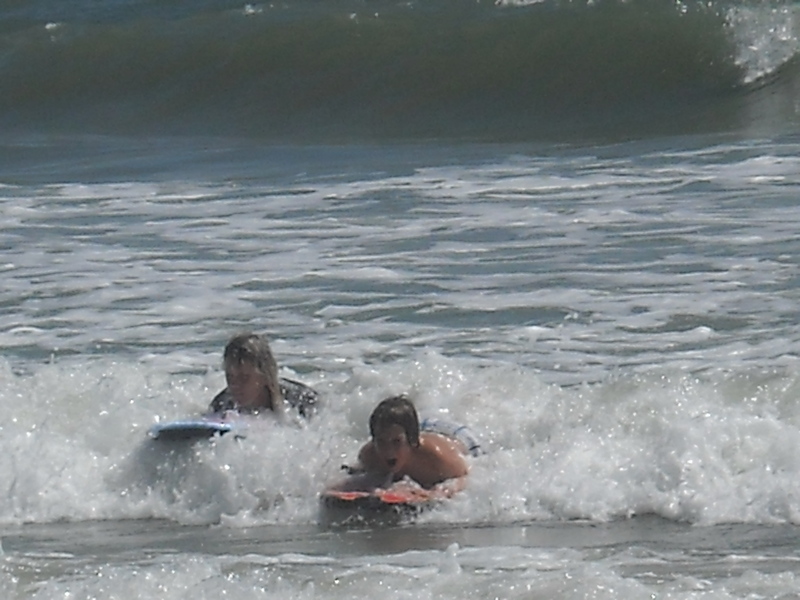 Catching wave after wave, and riding them into shore made for some happy, and exhausted, campers. Kite flying was also turned into a learning experience, comparing its flight with the wings of pelicans. 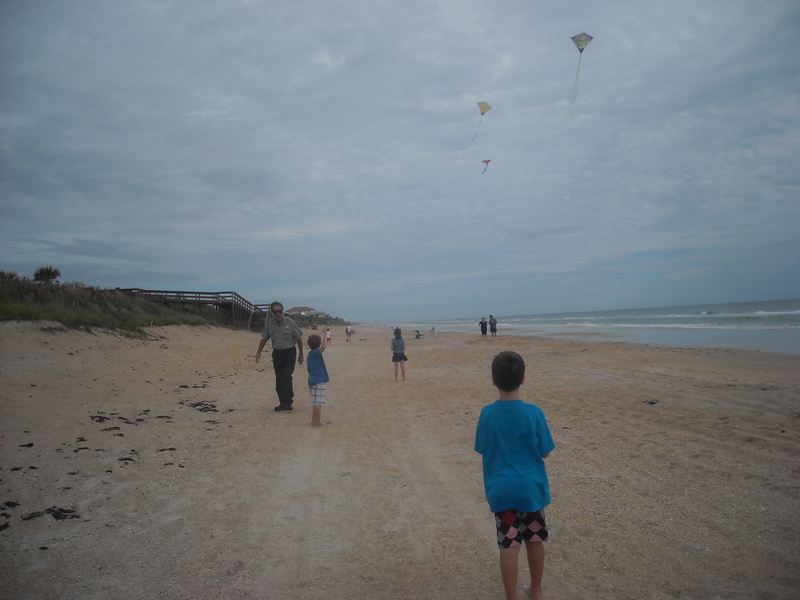 The boys learned to keep the kite above the dunes which can block necessary winds for a successful glide. 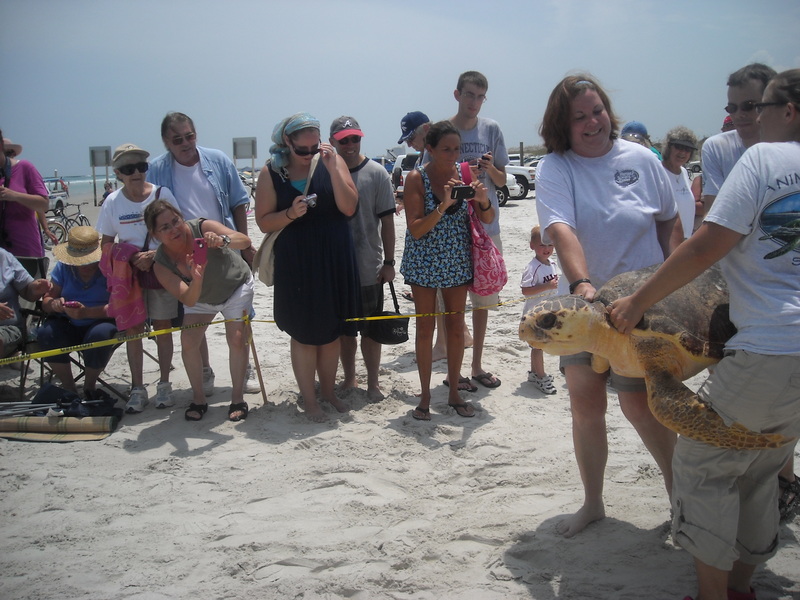 The Marine Science Center, in Ponce Inlet, also provided some excitement when they released rehabilitated loggerhead turtles back into the ocean. On one occasion we witnessed the liberation of three turtles, the largest of which seemed to wave at us as he was whisked away on the waves. Listening to the boys’ speculation as to where these sea turtles would wind up was proof that their imaginations can be triggered by something other than the Mario Brothers. 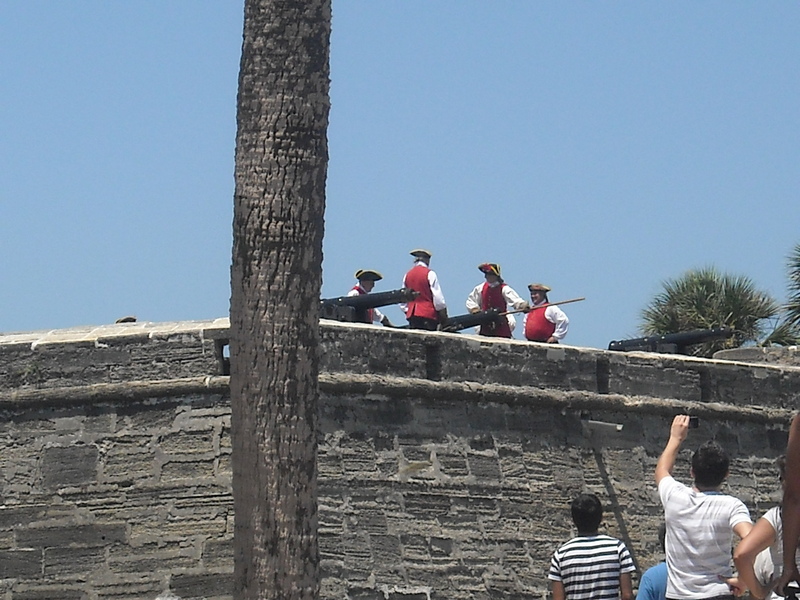 We also visited St. Augustine’s Castillo de San Marcos, another National Park allowing the use of the Senior Pass, where the boys reveled in the views from top of the fortress. The dank, dark storage rooms throughout brought up conjecture about what it would have been like to live in the 1700’s when the structure was necessary for the safety of the town. 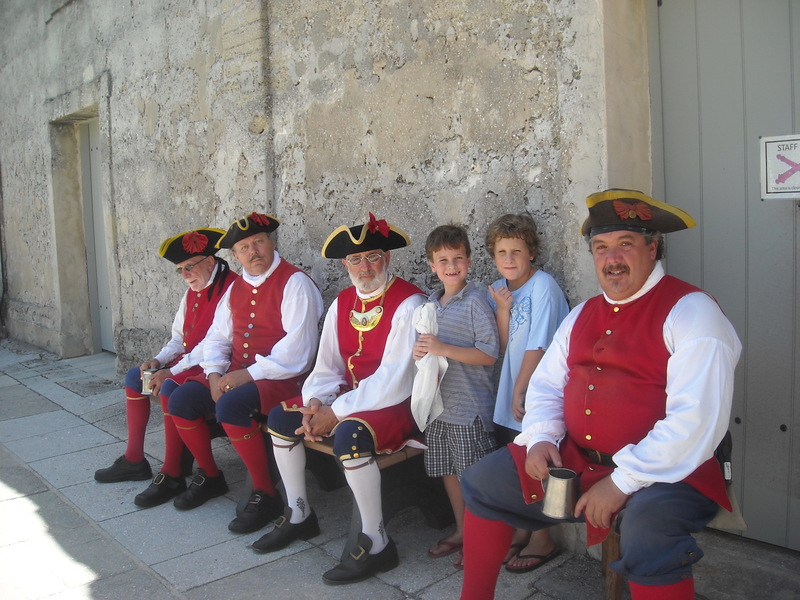 The explosive cannon blasts, the bridge across the moat…all provided a wide-eyed experience that will create memories for a lifetime. History becomes a lot more realistic and relative when you can touch it. When it was time to pack up and take them home, we knew our time was well spent when the oldest stated, “This was the best summer ever, grandma!” And, best of all, we don’t have “It’s a small world after all” stuck in our heads. 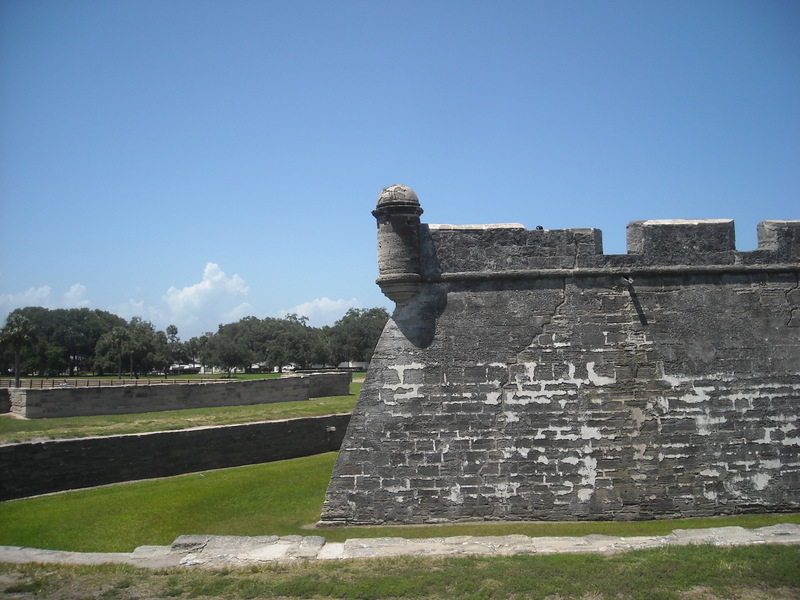 This entry was posted in Uncategorized and tagged board, boogie, camp, Cape Canaveral National Seashore, Castillo de San Marcos, dunes, egg, grandma, hatch, junior, kite, loggerhead, Marine Science Center, national, nest, park, ranger, St. Augustine, summer, surf, turtle, vacation, Yellowstone. Bookmark the permalink. These youngsters are lucky to have grandparents willing to spend so much time with them. Susan and Charlie you both get gold stars! Tom and Pam, I’m sure you’d be doing the same if you were lucky enough to have your grandbabies in town!